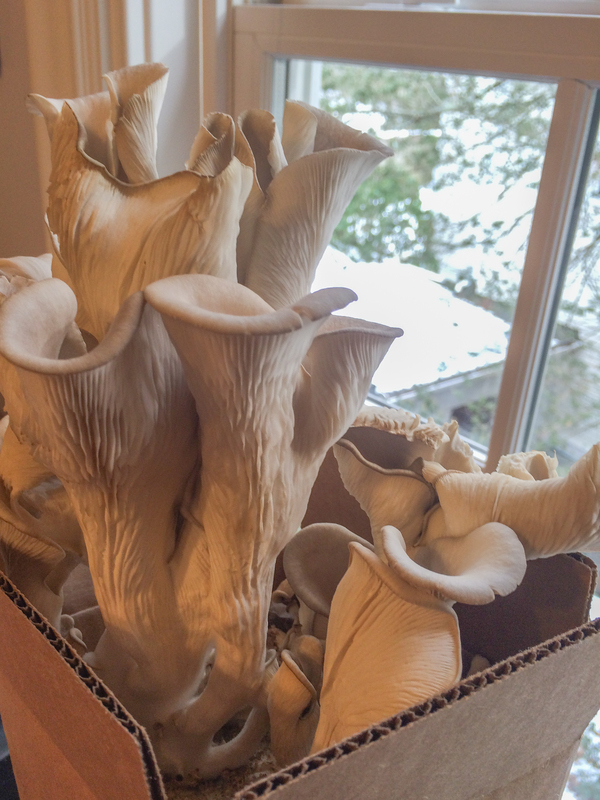 Growing oyster mushrooms may seem like a hard thing, but it is actually very easy! The only thing you need to do is to water the mushrooms at least twice a day. I got a mushroom growing kit on my birthday. When I first put the mushroom growing kit in my room, and it started to grow, it looked like mold was growing all over the block of compost! The only difference was that there were little stubs on the fluffy white surface. My mom and I were very worried. One day when I woke up, I saw that on top of the small stubs, there were tiny “umbrella tops”. Every day, the tops got bigger and bigger! On the 7th day, the umbrella tops turned into a funnel shape. On the 10th day, the mushrooms were gigantic! We harvested them and made a DELICIOUS mushroom soup! The most amazing thing was that the mushroom plant had so much change every day. Unlike the tomato plant. The tomato plant takes a long time to grow, and doesn’t always have a change! It was a great experience for me to feel some responsibility! A good article, while you got knowledge and delicious taste.